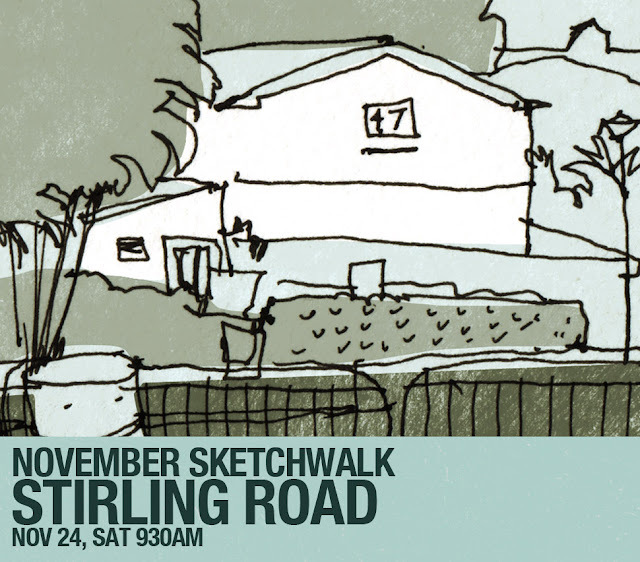 This saturday's sketchwalk will be around Stirling Road. 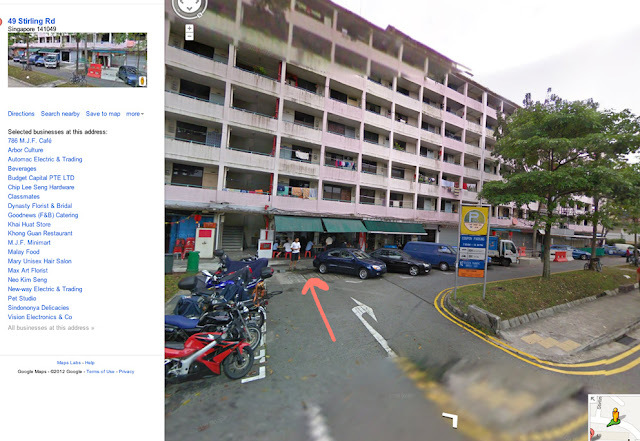 We will meet at Blk 49 Stirling Rd at a small Nasi Padang coffeeshop in the morning at 9.30. The food there is not too bad. But their breakfast mee goreng is so-so only. So order other things if you want to eat there. This is the picture of where we will meet. From there, we will spread out in any direction we like, free and easy. There is a lot of variations here. That's why we picked this place. Old HDB flats and two-storey terraces lay side by side around this area. Lots of high and low structures. 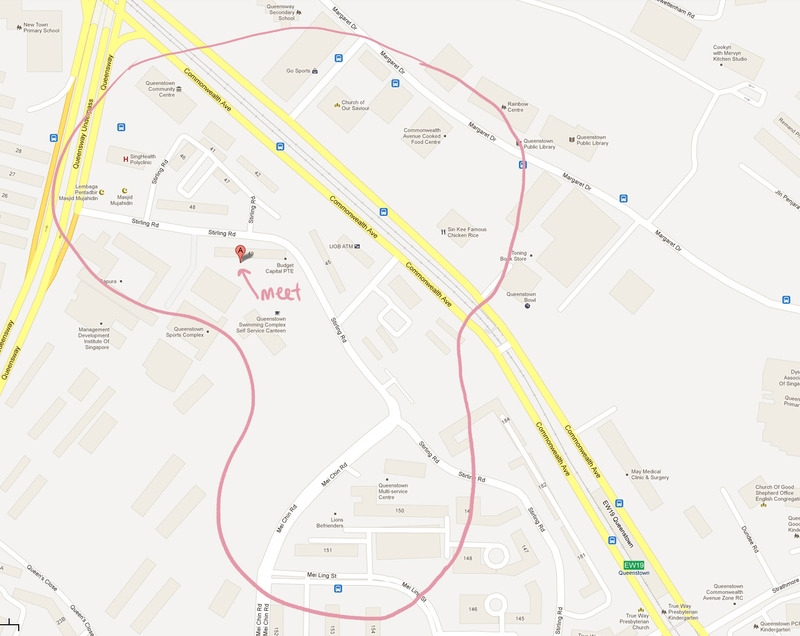 There is the Queenstown swimming complex and Mei Ling hawker centre just a little further up the road. If you like to revisit the demolished and revamped Queenstown area just cross Commonwealth Ave and you will see a giant field where Blk 38 is still standing. Oh! The Queenstown library is still standing along Margaret Drive. Probably the oldest library in Singapore now. It's a simple but interesting area to draw. Talk, walk, relax and sketch. We will meet again at 1230pm on the left side of block 49 Stirling Rd (shown above). There is an open area next to the block suitable for show and tell. CAUTION: Stirling Rd is small but it is a TWO way road. So please look both ways when you cross! Here is the link for the map on google maps. Click HERE. The closest MRT is Queenstown MRT. Or else, just find a bus that goes along Commonwealth Ave. Call Urban Sketcher Andrew at 91070735 if you can't find your way. Let's just hope that new technology allows us to send hugs through the computer... Ohh! That could be my next invention! The Furry Hugger App!